The Faber-Castell Loom Lime Fountain Pen. LOOM: Eye-Catching Colors. LOOM Series is engraved with luminous colors. Its high-contrast effect is eye catching and the polished metal barrel with grooves grip section gives trendy gloss look to this series. 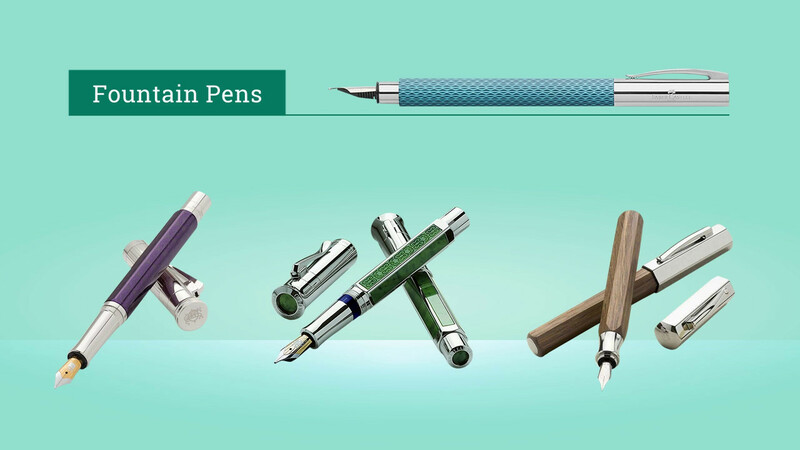 Loom fountain Pen is featured with high-gloss plum lacquered cap along with stainless nib.